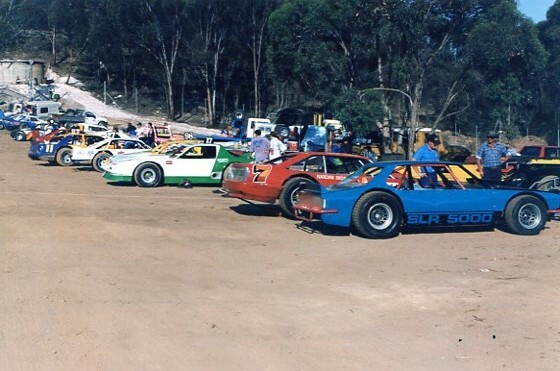 During the period the Narrogin club was racing at the Greater Sports Ground track, it was nogotiating with the Narrogin Roads Board to lease the current 20 acre site on Williams Road. 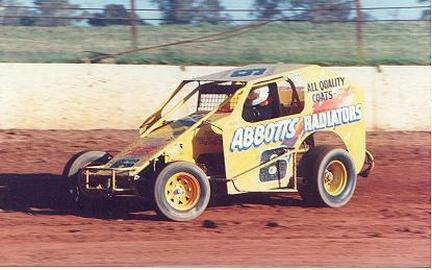 The club would set about building the new track while it continued to race at the Greater Sports Ground Track. 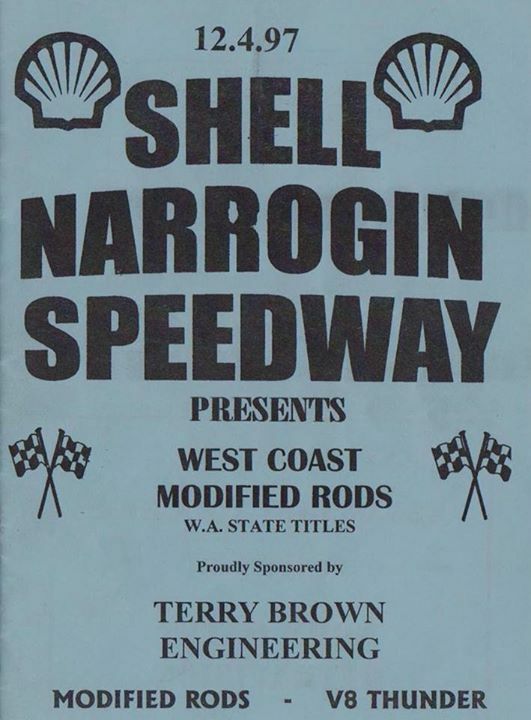 The track was peged out in Febuary of 1962 and the area burnt off in March the same year, development of the new speedway continued during 1963 and 1964, In mid 1963 work had begun on erecting the first building, which housed the original clubrooms and the refreshment facilities, the latter operated by the ladies committee. 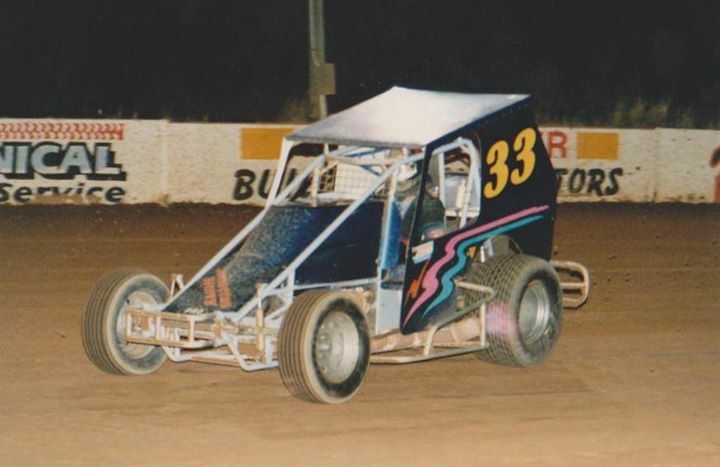 In November 1963 the track was surfaced with metal dust from Richie Wiese's dump. 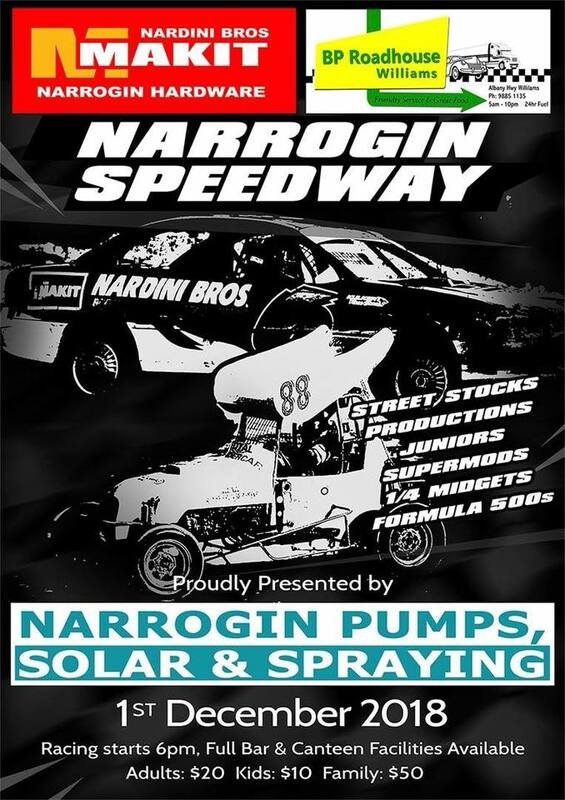 The first official race meeting to be held at the new Narrogin Speedway is beleived to have been held on the 14th of June 1964, when the Perth Hot Rod Club was invited to take part in the days racing. 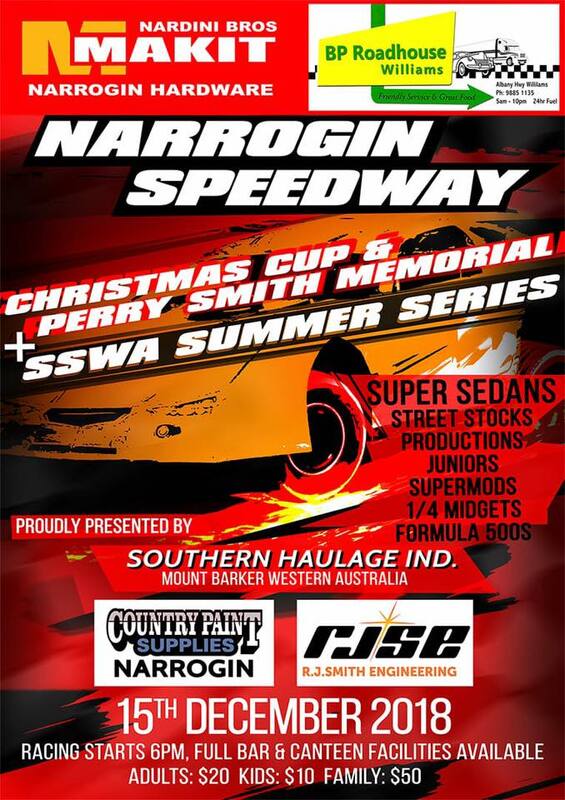 By the 21st of October 1964 at an extra-ordinary meeting the club would become incorperated and the name changed to the Narrogin tq and Hot Rod Racing Club inc.
Julie Stevens recalls: The announcement that the Narrogin tq Racing Club was to host the West Australian championships was made on the 4th of June, 1969. 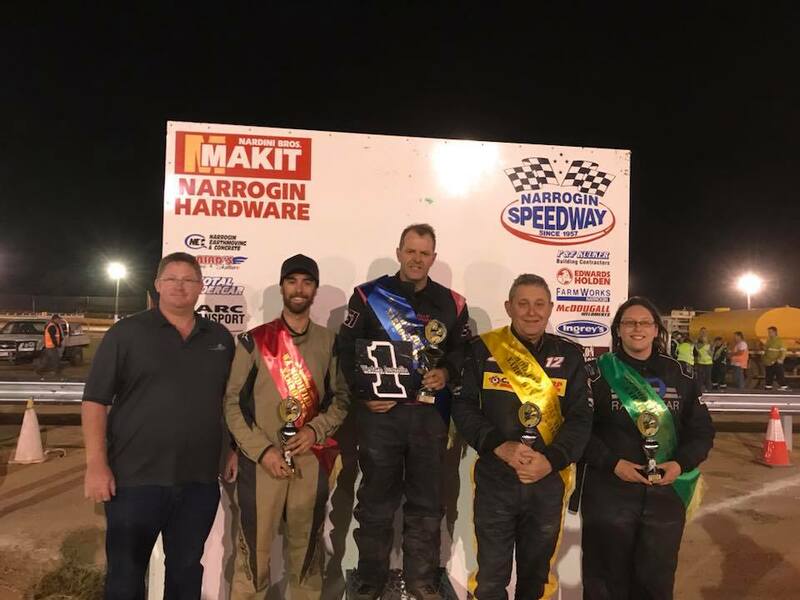 This resulted from the fact that Stan McEntee of Narrogin was ellected as foundation president of the Western Australian tq association when he and a fellow Narrogin Delegate, Peter Huitenga, attended the inaugural meeting earlier that year. 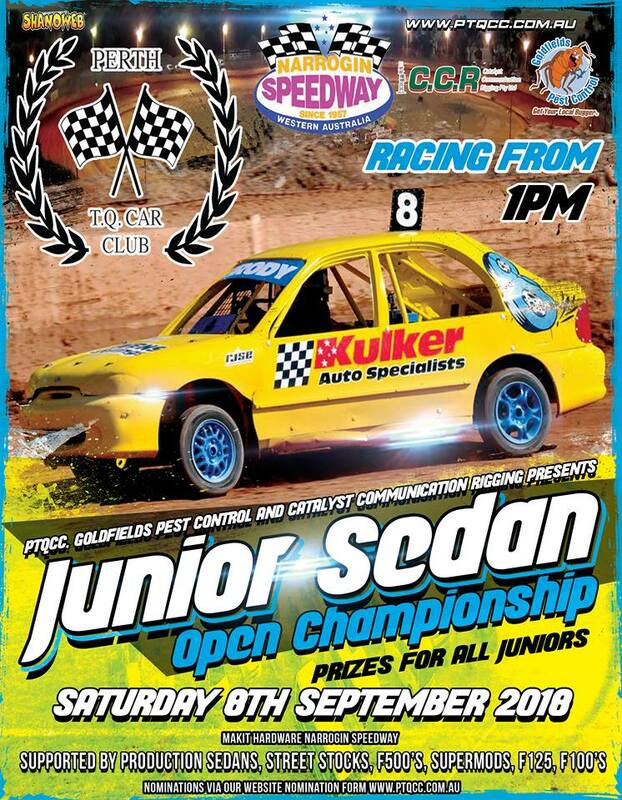 Barry Gartrell in the number 5 Triumph Herald is being spun in the junior event by Allan Hartree. Photo: own. 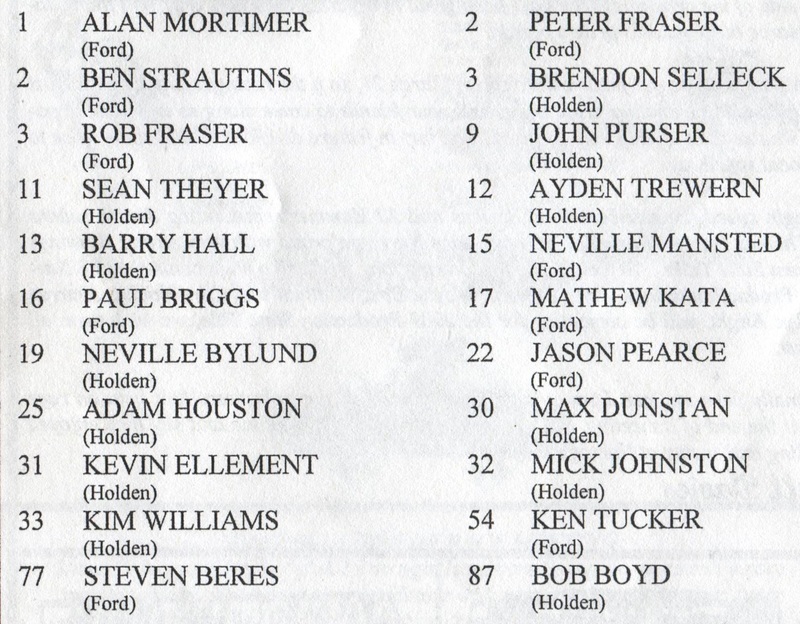 Lloyd Hartree in his Ford 351 V8 powered sedan turning in laps around the Narrogin circuit. 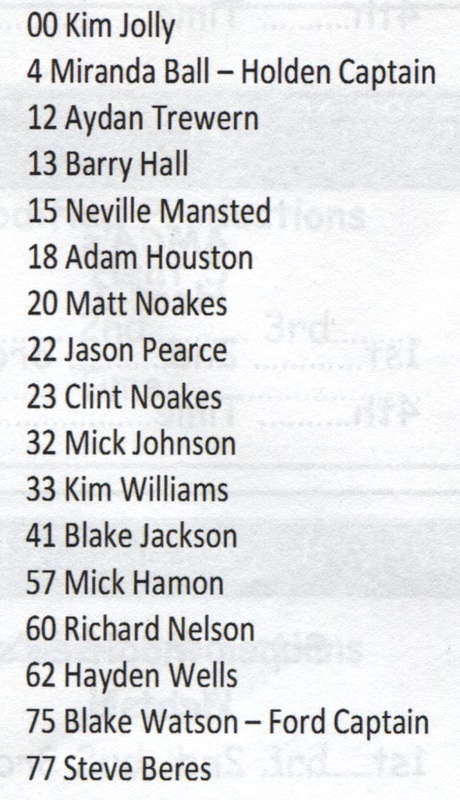 Photo: Hartree family. front: Doug Harrington - Arthur Farr. 2nd Paul Carrotts - John Major. 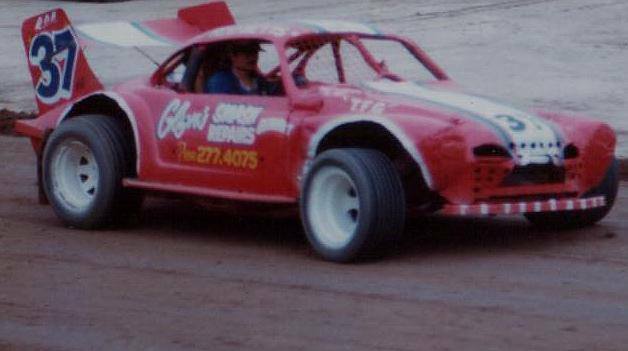 Red 5 Barry Gartrell - unknown. 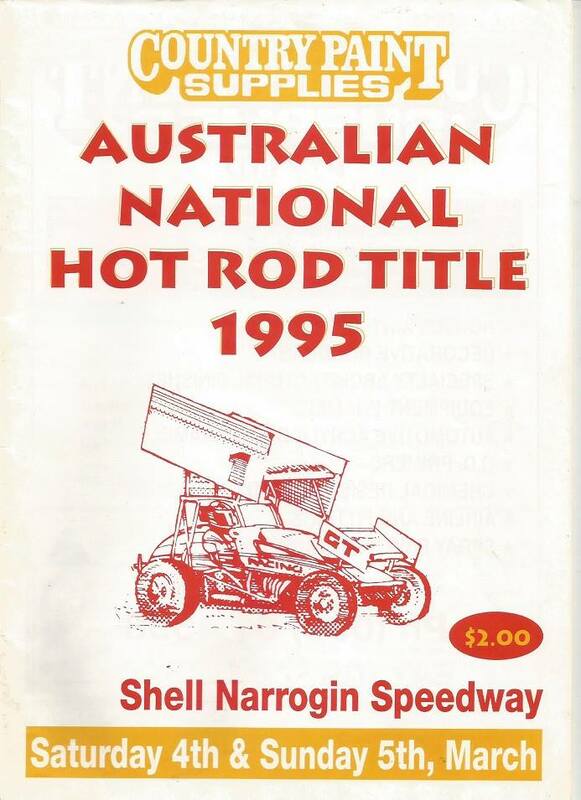 Dirt Hot Rods were nothing new to WA Speedway but this was the year that the association ran their first state tital and it just so happened at Narrogin Speedway a track that had promoted hot rod racing for years, a list of nominations is listed in the programme slideshow with the exception of Max Pilmar, the top 3 race results were as follows. 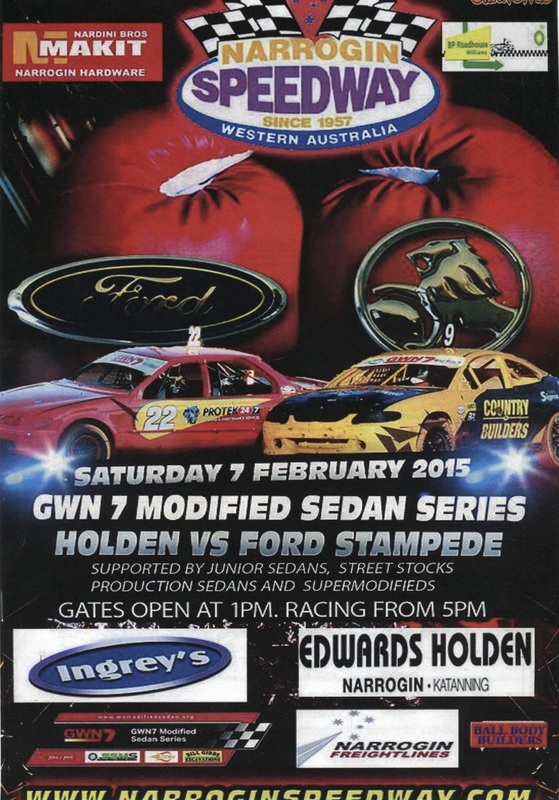 Rod Betts 302 Ford powered Karman Ghia. 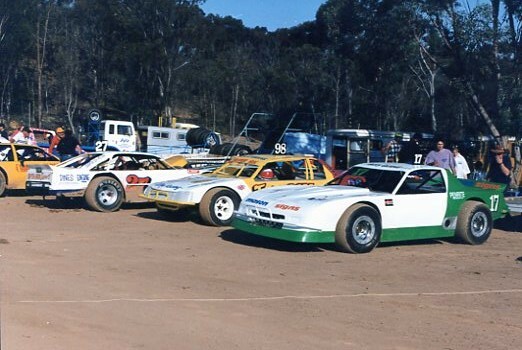 1985 - Derrick Borgas SLR5000 Torana - Frank Kulker 7 car. 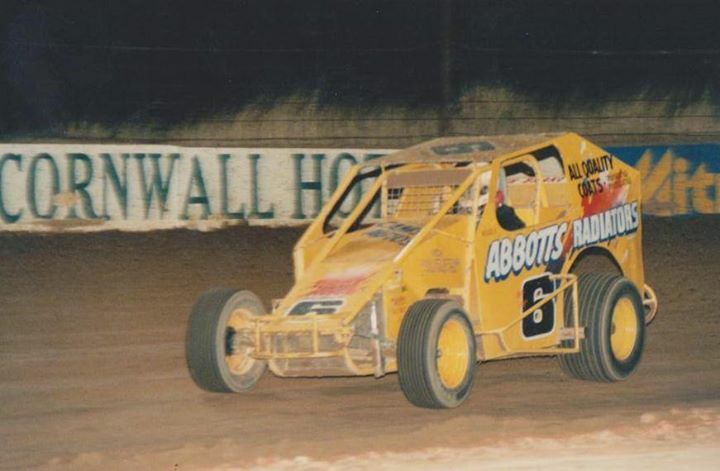 Max Farrell takes out the West Australian Dirt Track Hot Rod Association Championship for 1991. 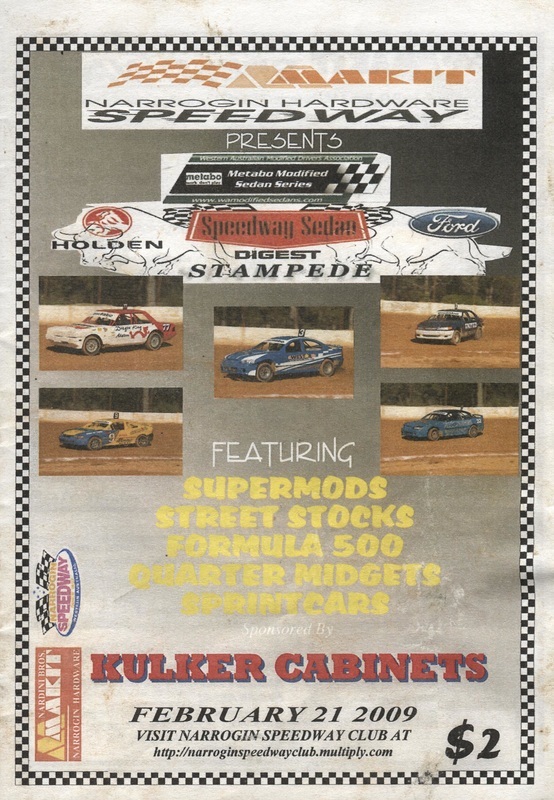 The 1994 > 1995 Australian Hot Rod Championship was held at the Hillside Speedway circuit in Narrogin on the 4th and 5th of March 1995. 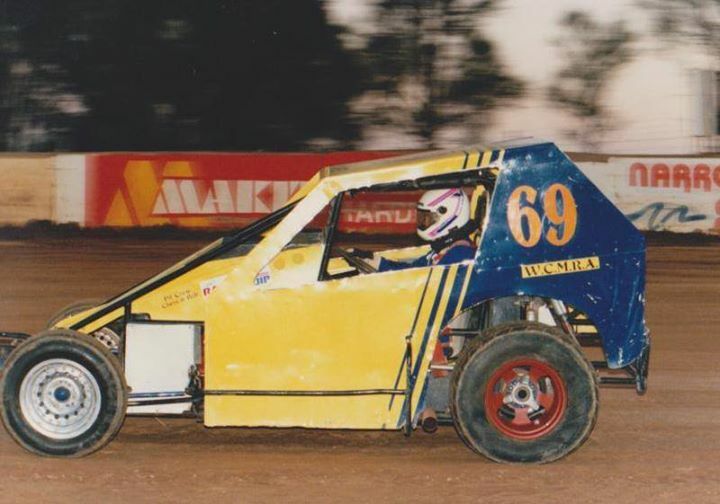 The 1996 > 1997 West Coast Modified Rods West Australian championship was held at the Hillside Speedway Narrogin on the 12th of April 1997. 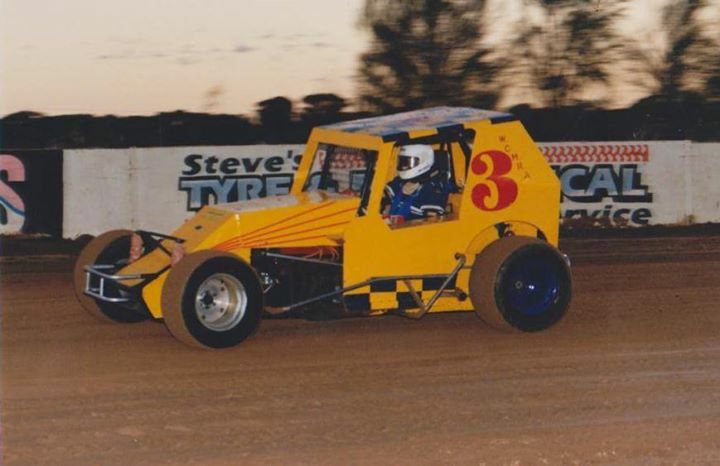 Photo's Peter French & Jason Sutton. 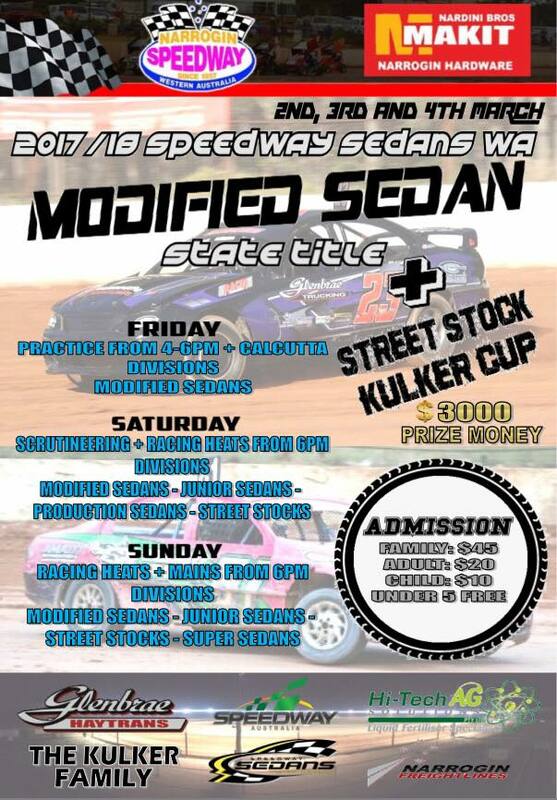 Narrogin Speedway hosted the running of the 2017 -2018 West Australian Modified Sedan Championship on the weekend of the 2nd - 3rd and 4th of March 2018.